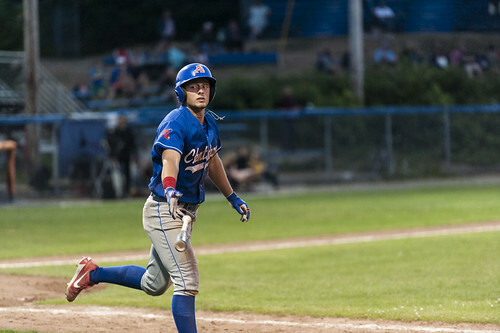 The Chatham Anglers (19-17-3) will play their second-straight game on the road Saturday when they face off against the Hyannis Harbor Hawks (21-14-3) at McKeon Park at 6 p.m. The A’s are coming off their third tie of the summer and second at Red Wilson Field, a 4-4 draw against the Yarmouth-Dennis Red Sox. 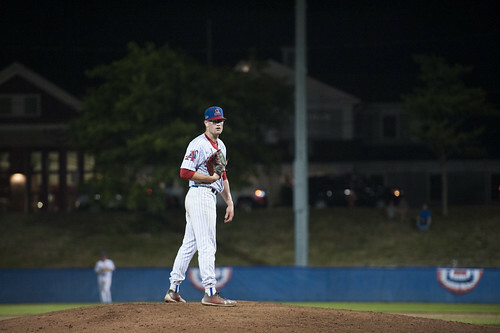 One of two teams to have already clinched a playoff spot, Chatham will aim to fend off Harwich, the current three-seed, for the two-seed and home-field advantage in the playoffs. The Anglers currently sit 2.5 games ahead of the Mariners in the East Division and five games behind the first-place Red Sox. For most of the season, Chatham’s offense has been defined by the long ball, aggressive baserunning and good eyes at the plate. The Anglers have been at their best this when they are doing all three successfully. The A’s lead the league in home runs (38), walks (169) and stolen bases (63). For home runs and walks, Chatham has players at top of the leaderboard. Blake Sabol (Southern California) is second in the CCBL in homers (seven) with Spencer Torkelson (Arizona State) tied for third (six). Greg Jones leads the league in stolen bases (15) with Sabol tied with Y-D’s David Hamilton (Texas) for second (11). As for walks, Chatham has six players with 13 or more base on balls. No other team has more than five. Right now, the Anglers are powering balls out of the ballpark and drawing walks, but not stealing bases. Over the past week, Chatham has hit seven home runs — with Michael Busch (North Carolina) leading the way with three — and drawn 24 walks. On the bases, however, the Anglers have stolen only one base and have been caught stealing five times. Since allowing 24 runs in 10 innings to Cotuit and Brewster, the A’s staff has improved drastically. Consecutive quality starts from Jeff Belge (St. John’s) and Austin Bergner (North Carolina boosted Chatham to a win and a tie. Jeff Belge leads the Anglers in innings (33.2) and strikeouts (44). The two starters combined to allow two runs in 10.2 innings of work. Both hurlers held the opponent scoreless long enough for the Anglers to score the first run of the game, a recipe that has typically meant success for Chatham. The A’s are 15-3-2 when scoring the first run of the game. Despite improved pitching in its last two games, the Anglers’ staff has skidded to fourth-to-last in the league in runs allowed (191). Of its 191 runs allowed, 144 have been earned. Chatham’s mark of 47 unearned runs is the second-highest in the league behind Brewster (49). Greg Veliz (Miami) and Dan Hammer (Pittsburgh) were released in the past two days due to innings. Both hurlers were East Division All-Star selections. Veliz, the team’s primary closer, appeared in four more games (13) than any other A’s pitcher. The right-hander logged 32 strikeouts in 21 innings along with four saves during his time on the Cape. Veliz also led the team in strikeouts per nine innings (13.7). Aside from two shaky outings, Hammer, the East Division’s starting pitcher in the All-Star Game, pitched exquisitely for the Anglers. The right-hander threw 25 frames, striking out 20 and walking just five batters. In four of his six appearances, Hammer allowed three hits or less and no runs. There have been seven games this summer when the Anglers have not worn their patented white uniforms with blue pinstripes at Veterans Field. Three of those games have been Red Shirt Fridays with Chatham also wearing the red jersey on the Fourth of July. Three of the contests have been days where Chatham is wearing their blue tops with white pants. When wearing the red jersey, the A’s are 2-2 while they are 2-1 when wearing their blue jersey at home. Since arriving in Chatham on July 3, Busch has been a consistent performer and one of the Anglers’ top players. But in the past week, he’s been especially good. While Spencer Torkelson’s (Arizona State) production has dropped slightly, Busch’s has shot up, providing the pop needed from the middle of the batting order. Since July 20, Busch has nine more total bases (16) than any other A’s player and is batting 6-for-14 with three homers, and double and four runs scored. Michael Busch has reached base at least twice in seven of his last nine games. Busch has accounted for half of Chatham’s run production in its last four games. The power-hitter has scored or driven in eight of the team’s 16 total runs during the span. Busch has especially enjoyed playing against the East Division-leading Red Sox, as he is 4-for-6 with three home runs in his last two games against Y-D.
After facing off against the Harbor Hawks on Saturday night, the Anglers will return to Veterans Field for a matchup against the Falmouth Commodores on Sunday night before having another off day Monday. Broadcast coverage of the Anglers and Harbor Hawks on Saturday begins at 5:40 p.m. with the Anglers Extra Pregame Show. Listen to Cooper Boardman and Josh Schaefer on TRZ Teamline or listen by phone at 1-800-846-4700, code 3841. For more information, visit Broadcast Central.